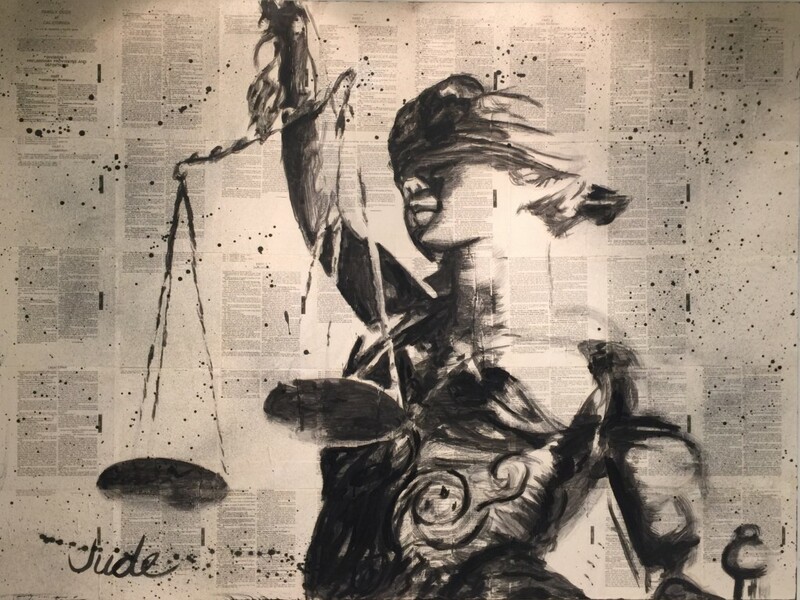 Description: This piece of artwork uses pages from the California family law code. The pages are stained with coffee and painted with various levels of diluted calligraphy ink to achieve different gradient levels. The subject of the piece is Lady Justice. The techniques employed borrow from street art, traditional drawing methods, and painting.